Configuring YOUR online metal part is easy. In this particular case the customer called us to verify how close the corners where after they were bend to a box or a tray so it would fit proper for his DIY online metal project. Once you know which metal you want to order / configure online it is done within just a few clicks. After you have chosen the metal, the surface and the thickness you chose from one of the 14 different shapes we offer online in which you can order your metal part. All you need to do is to enter your specific measurements and your done. 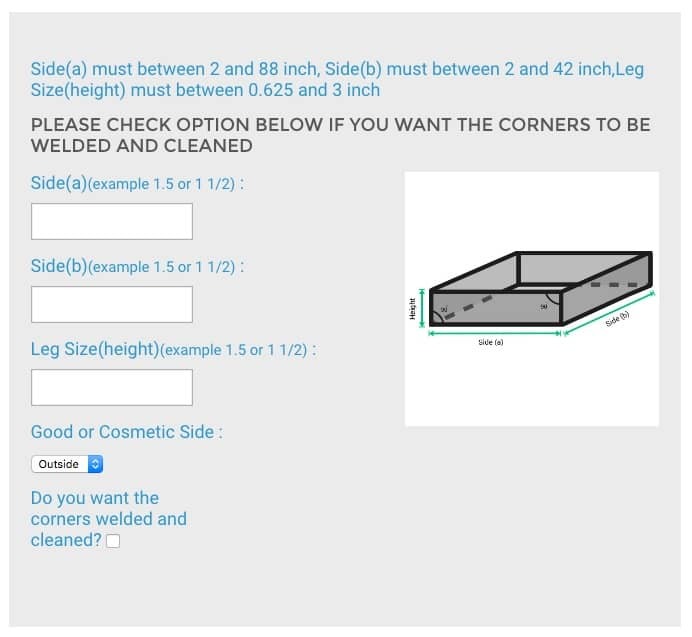 After you have entered the measurements you require our online metal website will calculate the price for your individual sheet metal part. It does not happen often that our customers provide us pictures of the actual final place where the metal part is suppose to do it's work. 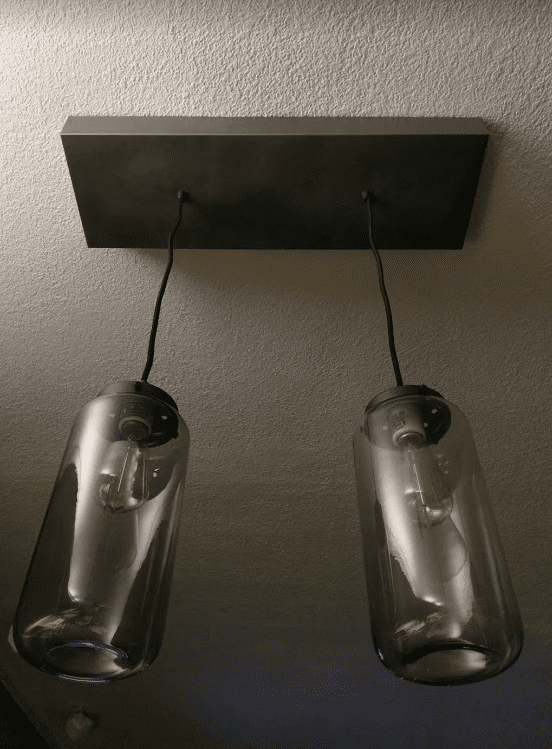 So we are very happy to show you, what other customers did with simple metal parts they order online on our website. At this point we would like to mention one more time that no metal you order online is sitting in shelfs. Whenever you order something we fabricate it specially for you. We cut it, we bend it and if necessary we will even weld it the metal part you need for you.